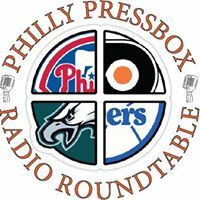 When old-time Philadelphia Eagles fans talk about the greatest Eagles players of all time the first two names spoken are Steve Van Buren and Chuck Bednarik or Chuck Bednarik and Steve Van Buren, and rightfully so. 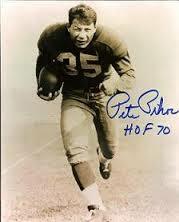 However, lost in the history of the Eagles and the NFL is the legend of Peter Louis (Pete) Pihos. Why should Pihos be mentioned in the same breath as Van Buren and Bednarik? Lets look at the numbers and career of the man. Pihos played his entire professional career with the Eagles from 1947-1955. During that time the Eagles went to the NFL championship game in ’47 and lost, before winning the championship in ’48 and ’49. In the ’47 playoff game, to reach the championship, Pihos blocked a punt that set up a touchdown in the 21-0 win over the Pittsburgh Steelers. In the ’49 championship game he caught a 31 yard touchdown pass. He made 6 Pro Bowls, 4 as a Tight End and 2 as a Defensive End. He was also named 1st Team All Pro 5 times. All the while he missed one game in his 107 game pro career. Pete Pihos excelled on offense, defense and special teams throughout his career. So what else sets Pihos aside from the rest that he should be considered a legend. When he retired Pete was #4 in every receiving category behind fellow Hall of Famers Don Hutson, Elroy “Crazy Legs” Hirsch and Donte Lavelli, the difference is that Pihos, 373 receptions, 5,619 yards and 69 touchdowns, was a tight end while the other three were wide receivers. Pihos was the pioneer of the Tight End position in the NFL. He led the NFL in receptions 3 times and receiving yards twice. He also had a 1,000 yard receiving year in 1953 with 1,049 yards. What fans have seen through the years from John Mackey, Mike Ditka to todays Tony Gonzalez all started with Pete Pihos. Prior to joining the Eagles, Pihos was as a 5th round pick in the 1945 draft, he was a 2 time All American at Indiana University as an end and fullback. Before he could join the Eagles and the NFL, Pihos served his country in World War II, 1944-46, for 14 months in Europe on the front line in the 35th Infantry Division under General George Patton as a 2nd Lieutenant. He was awarded the Bronze and Silver stars for bravery. 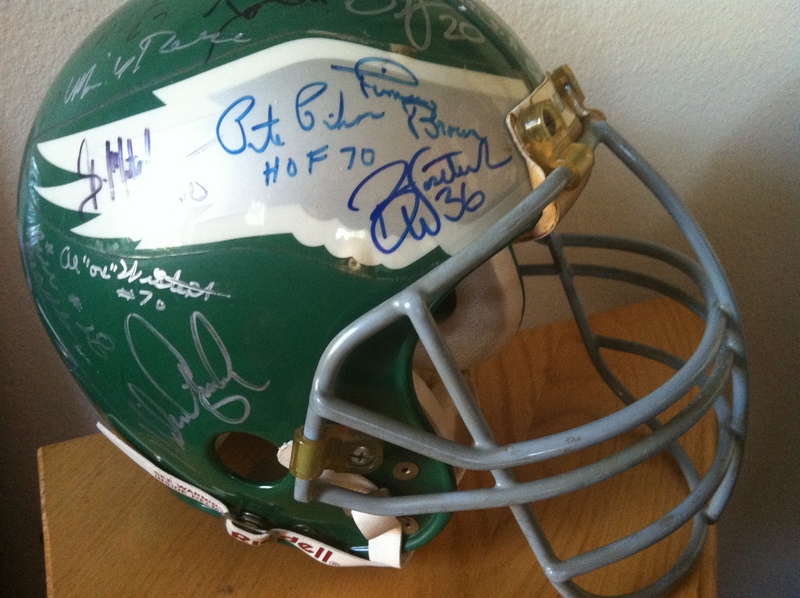 Pete Pihos did it all on the football field for the Philadelphia Eagles and deserves to be mentioned right there with the legends of Van Buren and Bednarik. The only thing missing from the career of Pete Pihos is to have his #35 retired by the Philadelphia Eagles along with his teammates Van Buren and Bednarik. Pete Pihos passed away in 2011 at the age of 87 from Alzheimer’s disease. 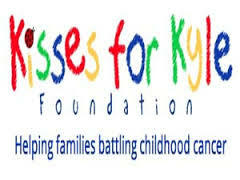 Philly Pressbox is proud of our association with the Kisses for Kyle Foundation. Please check out their link at http://www.shop.com/kissesforkyle Every purchase you make helps families battling childhood cancer in the Delaware Valley.